Foxy Fun on my desk: Of course I have a Logitech Play mouse too. Lion, Owl, Fox and Monkey: Which animal is your playmate? Yay, my birthday is coming up: Just three weeks to go. While I am getting a little bit giddy about what surprises might await me on my special day, I am thinking about gifts for you as well. You are an important part of my life, even if we might not know each other, and I would like to thank you for this. 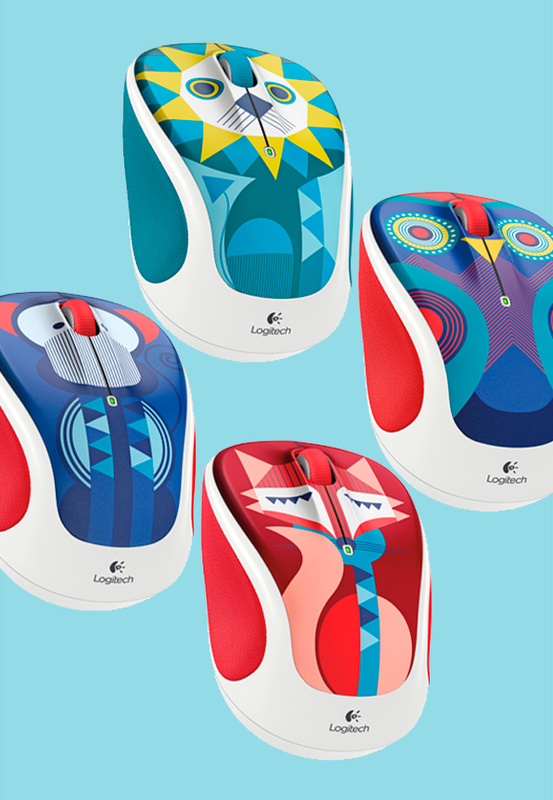 Five of you will soon be lucky owners of a Logitech Play computer mouse, the most colourful mouse in the world, made for fashionistas and lovers of cute things. 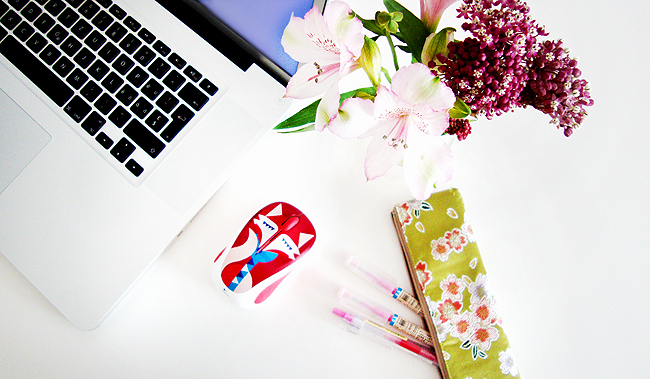 Maybe you already spotted it on my desk and wished to have one too, so now is the time! I will choose the winners on the 27th of November – my birthday. The Logitech Play is a Bluetooth mouse compatible with Mac, Windows and Linux and, therefore, the ideal playmate for every fashionista. Thanks to the scroll wheel you can fly through long websites and with very long-lasting batteries (one lasts for up to 12 months) the fun almost never stops. How does the giveaway work? Just follow the instructions in the Rafflecopter below and keep your fingers crossed. If you let me know in the comments if you like the fox, monkey, owl or lion mouse best, I'll do my best to make your wishes come true. The giveaway is open internationally and ends at November 27th, 2015, 12.00 CET. Good luck! Keep your eyes open, there might be another birthday giveaway soon. I love the lion, these are so adorable. I'll take the foxy one please, thank you. I like the fox design,thank you. What a great giveaway, I love colorful things! Oh my gosh they're all soooooo cute!!!!!! I love them all! The fox is cute. Too cute!!! And the happiest of Birthday to you!!! Love them all. The fox and lion are my favorites! Mouse pads are for comfortable and smooth response of mouse. One may think,it has no special use but who are using it can differentiate the mouse pad benefit quite well.For easy,fast and smooth computer command comfortable mouse pad is a great tool.